Day 47: Breakfast, yes. Lunch, no. The cold front held off long enough to make the ride this morning pleasant. Tomorrow, probably not so much. Big Z was up very late last night and was a zombie this morning, but French toast sticks perked her up. 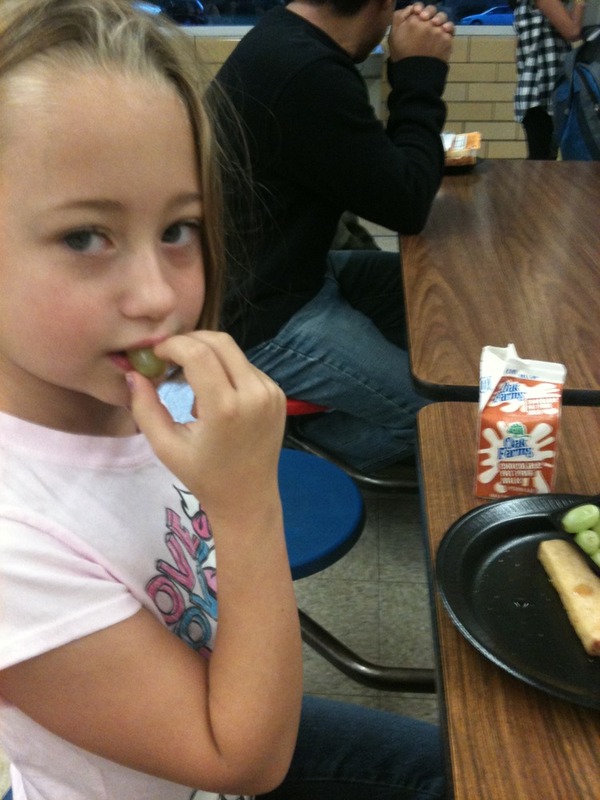 For some reason she’s fallen out of love with school lunch, so she is packing PB&J today.